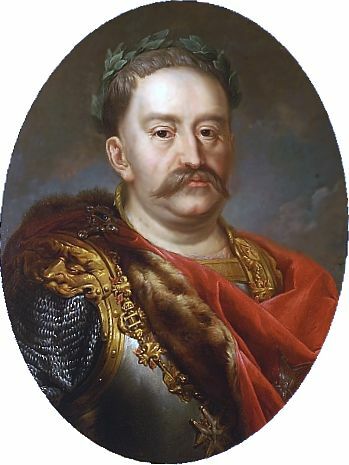 Jan Sobieski was born in Olesko near Lwów (now Ukrainian Lviv) in 1629. 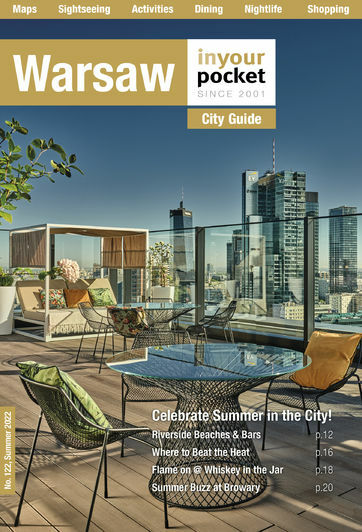 His father was a Polish-Lithuanian nobleman who ensured young Jan and his brother received a first class education and they both went on to study at Jagiellonian University in Kraków before Jan travelled abroad. He studied military history and tactics including, significantly as it would turn out, in Turkey (as an envoy of King Jan II Casimir) where he learned the Tartar language in the 1650s. Sobieski also spoke French, German and Italian and during this time met major European political figures including Louis II deBourbon, William of Orange and Charles II, where it is clear that he learnt the value of diplomacy as well as military might. Jan Sobieski would have a lifelong love of France thanks in part to his French wife Marie (or 'Marysienka' as he fondly named her) whom he married in 1665 and fathered 14 children with (of whom 8 survived). 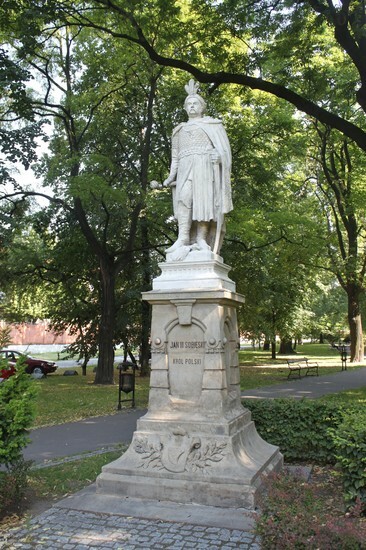 Having returned to Poland Sobieski went on to serve with distinction in the Battle of Warsaw (1656), where he led a Tartar cavalry regiment, and the Polish Swedish wars (1655-1660) among others. 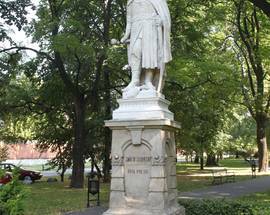 In 1666 he sided with King Michał Korybut Wiśniowiecki during the Lubormirski rebellion and added another major victory to his list by defeating the Turks at the Battle of Chocim in 1673. 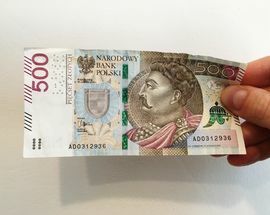 It was this victory - allied to his reputation as a strong leader, astute military tactician and his canny political knack - that would result in him being elected as Polish King the following year in 1674. 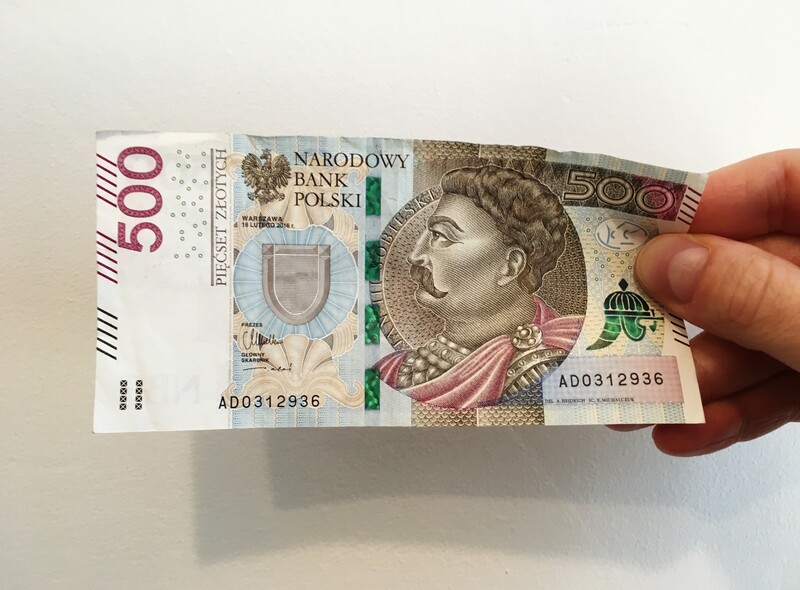 Sobieski inherited a nation virtually penniless from 50 years of continuous war and set about stabilising the country’s borders through treaties and strategic battles. It is for this combination of wisdom and bravery that he is well remembered today. Sobieski’s greatest moment, however, was to come in 1683. Having marched through most of the Balkans, a vast Turkish army was massed on the outskirts of Vienna threatening to overwhelm the Christian world. Led by King Jan III Sobieski a joint Polish/German/Austrian army scored a magnificent victory in a day-long battle on 12 September 1683, vanquishing the Turks. Sobieski led a charge of Polish hussars breaking the opposition lines and sending the Turks into disarray. Sobieski entered the abandoned tent of the Turkish commander Kara Mustapha in the early evening signifying victory, and parts of that tent are today on display within Wilanów Palace. The Turks were to name Sobieski ‘The Lion of Lechistan’ (Lechistan being an ancient name of Poland) while Danzig astronomer Johannes Hevelius would name a newly discovered constellation Scutum Sobiescianum (Sobieski's Shield) in his honour, quite an accolade for a still-living non-astronomer like Sobieski. 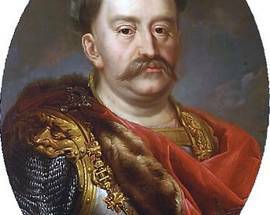 The victory not only saved Christendom (Sobieski was described as the saviour of European Christendom by the Pope) but also made a lasting impact on European food culture. According to urban legend pastries were baked in a shape designed to resemble Sobieski’s stirrups ('beugel' in Austrian), which supposedly evolved to become the bagels we enjoy today.